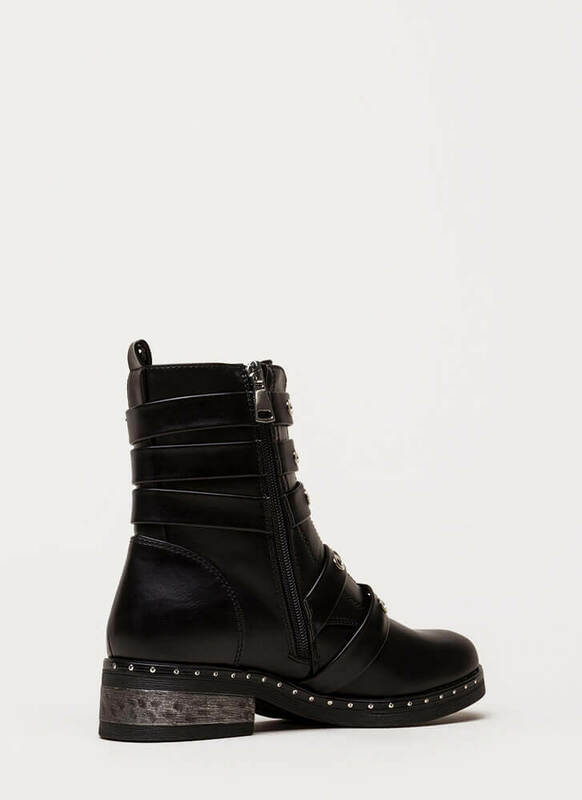 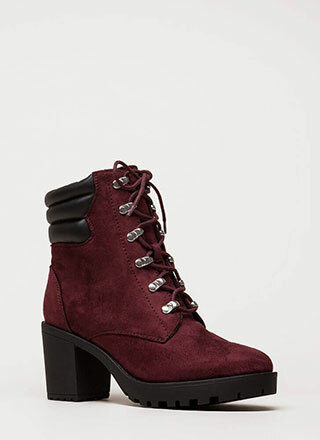 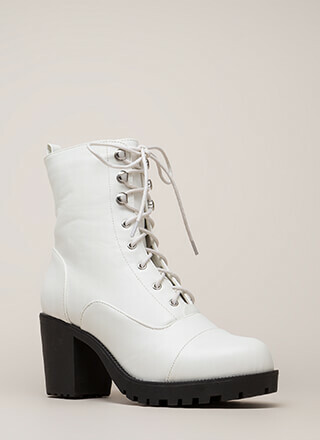 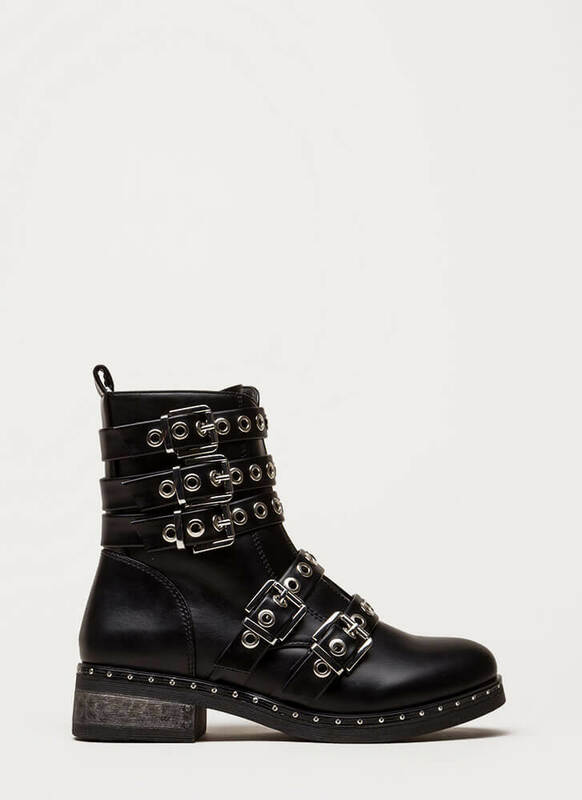 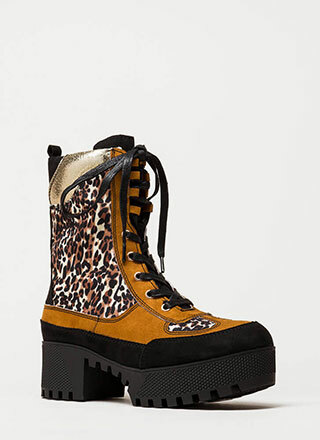 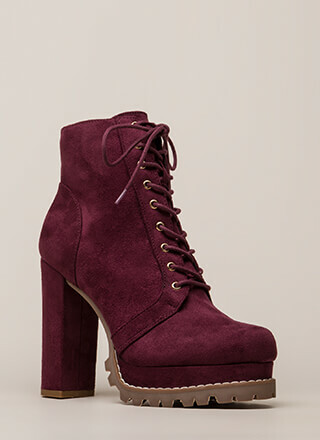 An edgy girl like you can't pass up edgy boots like these. 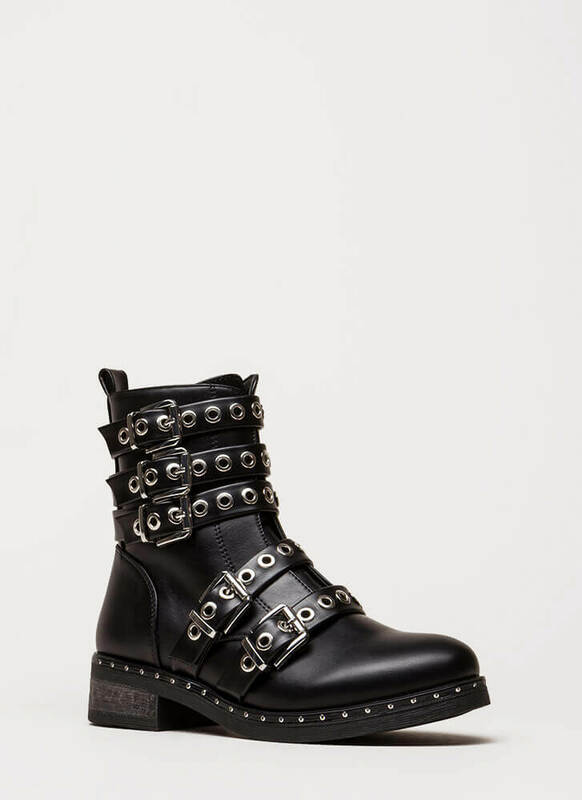 Vegan leather moto combat boots feature a split front with five faux wraparound straps, each punched with grommets and finished with an adjustable buckle. 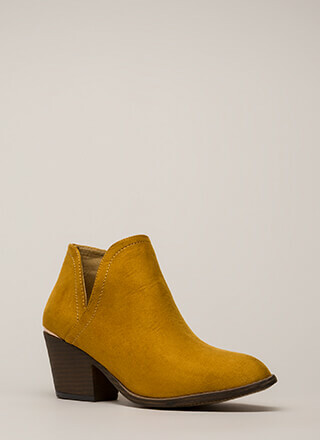 Shoes also include a block heel, a patterned sole, and an inside zipper for easy on and off.